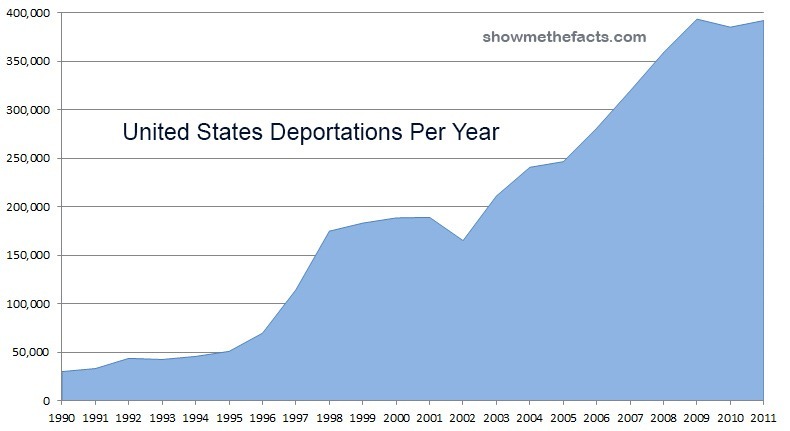 The above chart shows the United States Deportations by year. A deportation is when an illegal immigrant is forcibly removed from the country and returned to his or her country of origin. From 2002 to 2009, forcible deportations in the US have more than doubled as the battle for illegal immigration has become center stage in American politics.